How Often Do Truck Driver Training Classes Start? The good news is that our truck driver training classes start every Monday throughout the year. This means if you are looking to get your trucking career started, we can help you get started immediately. Check out this post for more information on our training class start dates. What Happens After I Apply For Truck Driver Training? It's very important to understand what is going to happen after completing your online trucking application. This post gives you all the details on the next steps as you prepare to leave for trucking training. Before you make the commitment to attend truck driving training at our trucking school, you should understand the amount of time it's going to require. 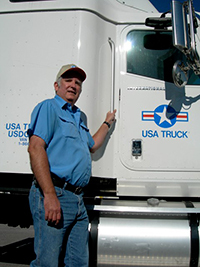 Read this post for more information so you can prepare for trucking school. How Much Does Truck Driver Training Cost? Of course, you need to be aware of the financial requirements that come with our truck driver training program before you attend. Check out this post for all the information you need regarding truck driver training costs.